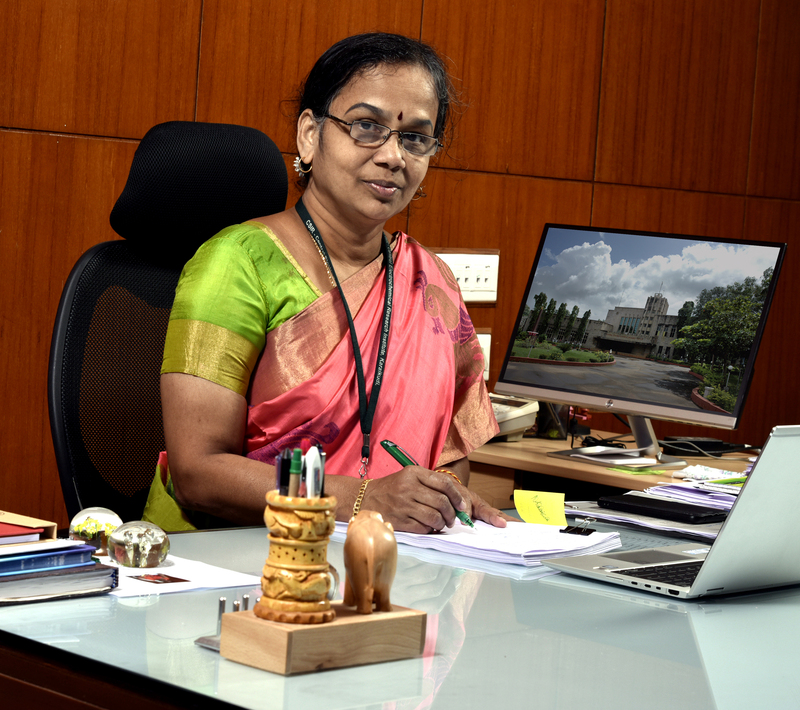 Dr. (Mrs) N. Kalaiselvi assumed charge as Director, CSIR-Central Electrochemical Research Institute (CSIR-CECRI) on February 22, 2019. Dr. Kalaiselvi's research work of more than 25 years is primarily focused on electrochemical power systems and in particular, development of electrode materials, custom designed synthesis methods, optimization of reaction parameters and electrochemical evaluation of in-house prepared electrode materials for their suitability in energy storage device assembly. Her research interests include lithium and beyond lithium batteries, supercapacitors and waste-to-wealth driven electrodes and electrolytes for energy storage and electrocatalytic applications. Exploration of bio ionic liquids crystalline electrolytes for extended electrochemical potential windows. Apart from the galaxy of projects falling under extramural research, collaborative and sponsored categories funded by DST, MNRE and CSIR, Dr. Kalaiselvi has served as a Nodal Scientist for MULTIFUN [Multifunctional Electrodes and Electrolytes for Futuristic Technologies – a Twelfth five year plan project, sponsored by CSIR to the tune of Rs. 68.54 Crore] with CSIR-CECRI as the Nodal lab and 6 CSIR Institutes as participating labs during 2012-2017. The sectoral monitoring committee Chaired by Prof. Baldevraj graded this project as EXCELLENT. She is currently involved in the development of practically viable Sodium-ion/Lithium-sulfur batteries and Supercapacitors. As a nominee of CSIR-CECRI, she has participated in the meetings conducted at various levels by MNRE and TIFAC (2015 onwards) for the implementation of e-mobility in India with indigenous technological support from CSIR and in particular from CSIR-CECRI in a major way. She was instrumental and coordinated from CSIR-CECRI towards the preparation of Technical Report on NMEM (National Mission for Electric Mobility) in collaboration with TIFAC identified academic, research and industrial partners. She is a part of MNRE initiated Mobility Mission Concept Note also. Dr. Kalaiselvi has more than 125 research papers and 6 patents to her credit. Under her guidance, 8 research scholars have received Ph.D. Degree and 6 researchers are currently pursuing their Ph.D. She is a recipient of many prestigious awards including MRSI medal, CSIR Raman Research Fellowship, INSA-NRF Exchange award, Brain Pool Fellowship of Korea and the Most Inspiring Women Scientist award.